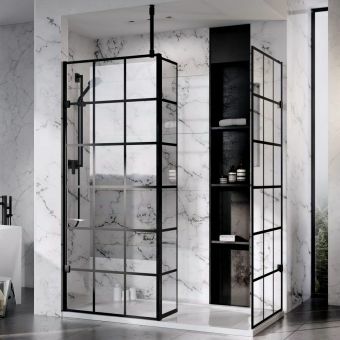 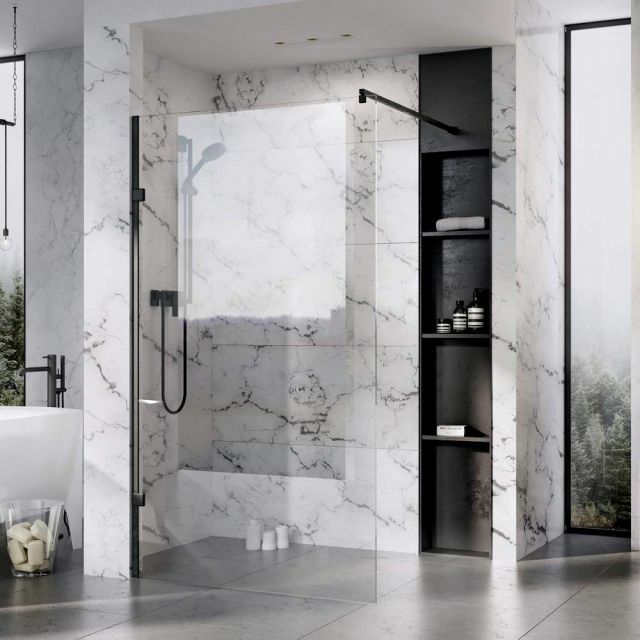 Proving that they are on-trend and keeping abreast with modern style changes, Roman has introduced wetroom panels with matt black profiles for a neat and alternative industrial look. 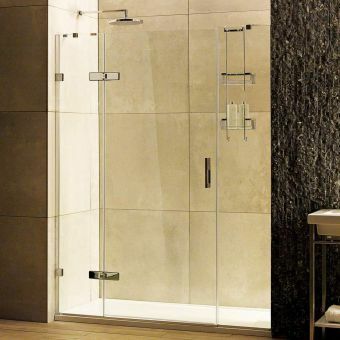 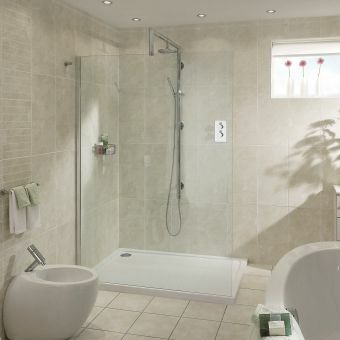 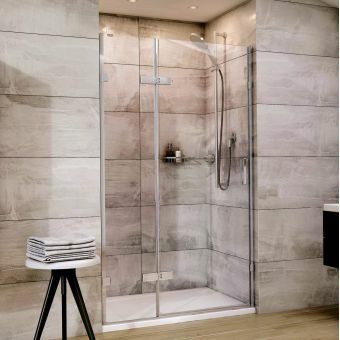 Perfect for loft living or trendy apartments, the wetroom shower panels are crafted from top-of-the-range 10mm glass. 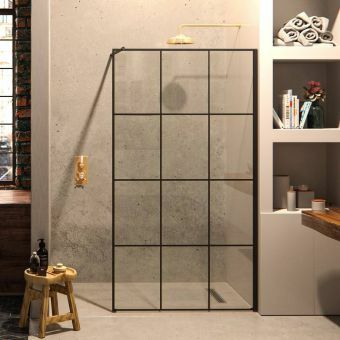 The weight and durability of this glass is impressive and with a 29-year heritage behind them, Roman Showers specialise in producing all of their own glass here in the UK. 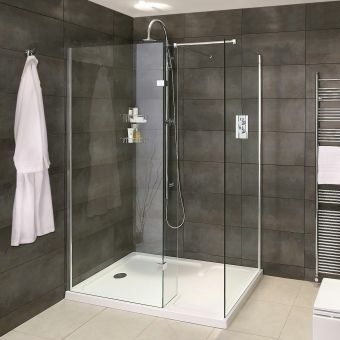 The panels are available in a range of 5 widths from 757mm up to 1157mm and for ease of installation, they are reversible in design for left or right-hand locations. 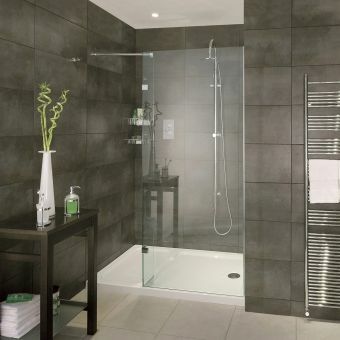 At 2000mm high, these luxury panels are heavy so we recommend using a bracing bar for any glass. 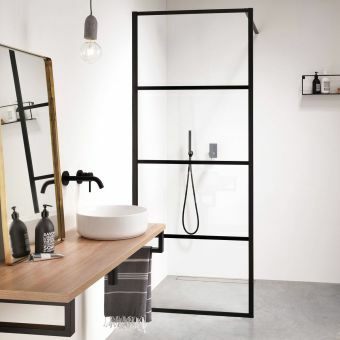 The bars can be cut to length for a custom fit and two variants allow fitting directly to the wall or straight up to the ceiling. 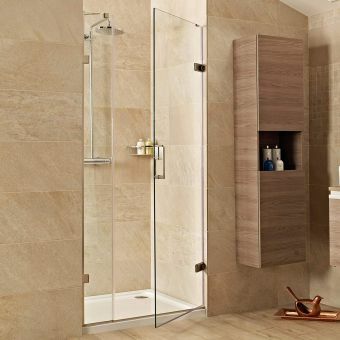 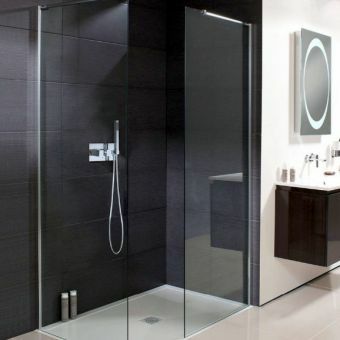 A handy pivoting 243mm door can be attached to the outer edge of the main panel to stop water from splashing onto the floor outside of the showering area. 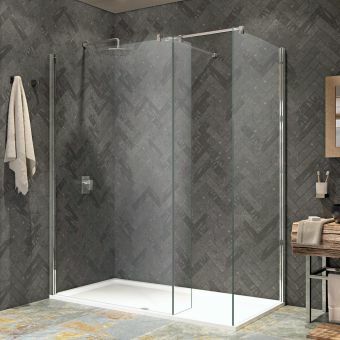 The Roman Liberty Wetroom Panel is a design classic that will surprise and delight every time you step into the shower.